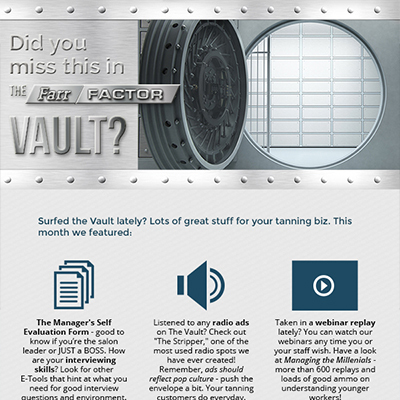 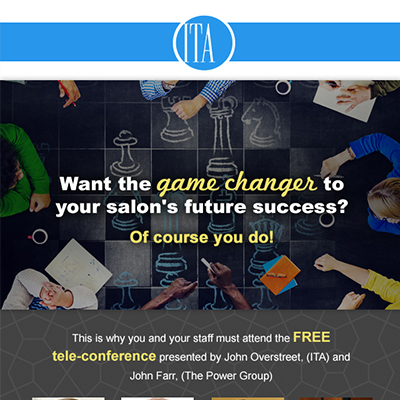 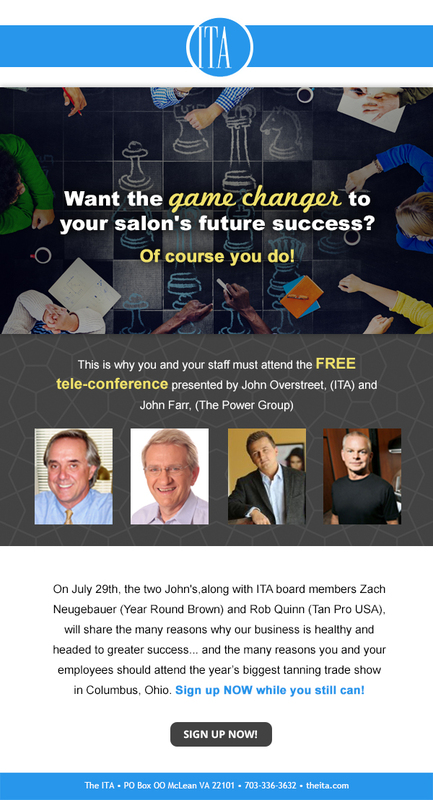 John R Farr is the CEO of Power Group Company, and is an author, consultant, and speaker, highly involved in the tanning industry. 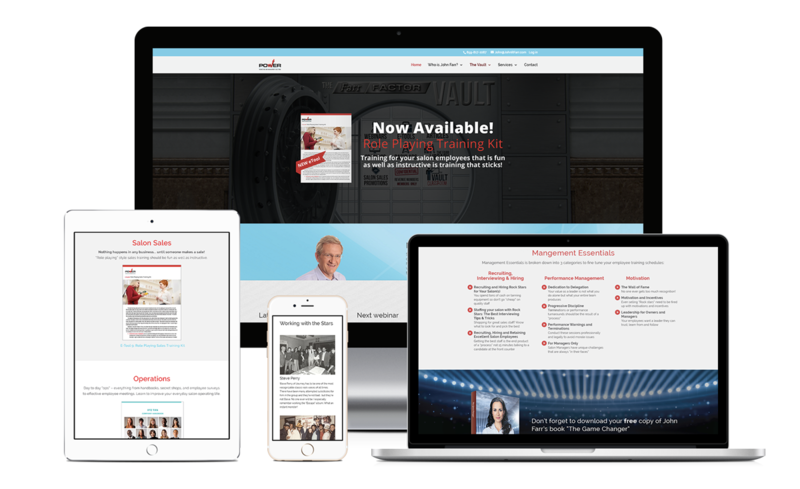 This website was built with the Divi theme from Elegant Themes and included custom graphics, social media integration, a contact form, a blog, integrated video and audio, and a members-only area. 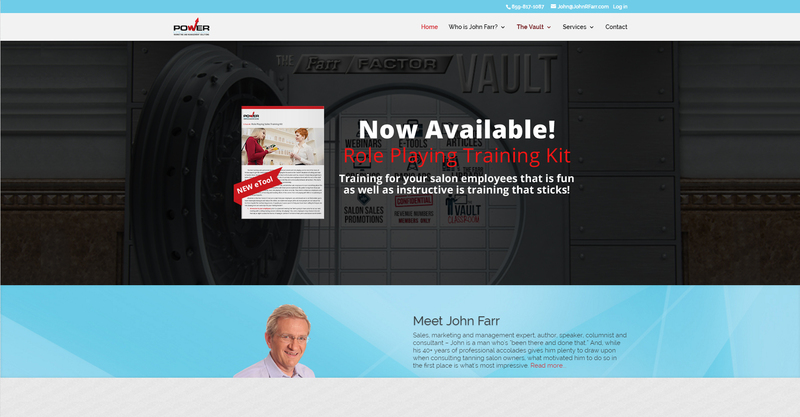 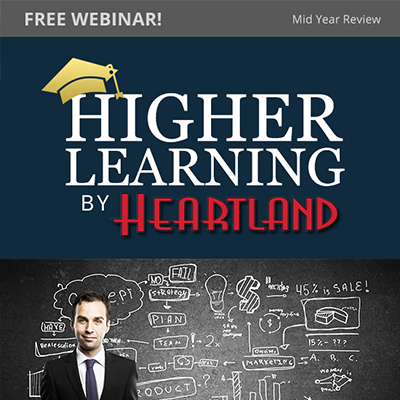 We also regularly create email marketing campaigns for Mr. Farr.